Bath Rugby have confirmed the signing of scrum-half Will Chudley from the Aviva Premiership rivals Exeter Chiefs ahead of the 2018/19 season. The 30-year-old made his professional rugby debut with Bedford Blues in 2007 and switched to Newcastle Falcons in 2011. 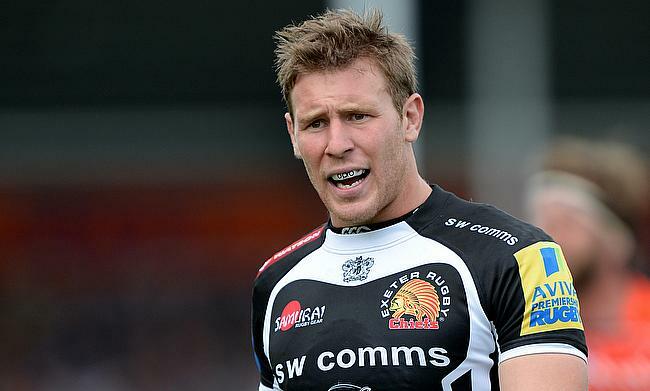 His association with Exeter Chiefs started in 2012 and since then he has racked up 115 appearances in which he scored 15 tries. Describing the Premiership victory was a special moment with Exeter Chiefs, Chudley is determined to end the season on a high before he joins Bath. “I’m really looking forward to joining Bath next season – it’s a new challenge for me, and one that I’m really looking forward to. Having spoken to Todd, I know how ambitious the club is, which is one of the main factors behind my decision. Bath Rugby director Todd Blackadder is delighted with the new signing and is confident of him achieving greater success with the club. “Will is a player who I’m really looking forward to working with. He has that winning mentality having played a key role in Exeter’s success over the last few years, and that’s something which will only benefit the Club moving forwards.